Debbie is using Smore newsletters to spread the word online. 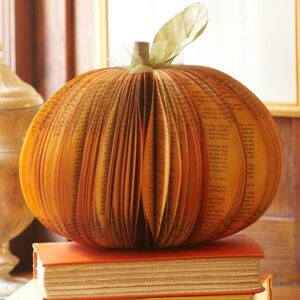 Get ready for the season by making an awesome recycled book pumpkin! Keep in mind: pumpkins will take two unit lunch periods to complete. This activity will also be available next week. All supplies will be provided!